Welcome to All About Plumbing, Inc. We are trained, licensed, and insured plumbing professionals and a local, family owned business. Our prices are very competitive. Focusing on residential and commercial plumbing in the SouthEastern Michigan area, our emergency plumbing service is second to none. We pride ourselves in our honesty and integrity. We vow to make every customer a lifelong friend and to treat your home or business as if it were our own. We accept Visa/Mastercard credit cards, and personal checks. Bank financing may be available. 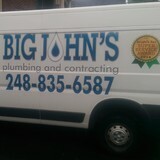 Call us today on your plumbing needs and speak with a real plumber. We don't use answering services. If you require emergency service, we can have a truck at your location quickly with our EMERGENCY PLUMBING SERVICE. We operate 24 hours a day, 7 days a week including holidays. Always Available Drain & Rooter is a plumbing contracting company that serves Wyandotte and the surrounding areas. When a plumbing emergency happens, let us be the first call you make. With our 24-hour service, we can stop the damage before it worsens. Whether you need new plumbing installed in your kitchen or the toilet repaired, our master plumber is ready and able to handle all of your plumbing projects. 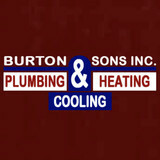 When you hire us, you'll get honest and dependable plumbing services. All work performed by our team, headed by a master plumber, is guaranteed. We are a family owned business that is licensed and insured. A plumbing contractor handles the installation and repair of water, sewage and natural gas pipes throughout a home, as well as interior and exterior faucets and fixtures. Plumbing contractors are also trained to work with water mains, septic tanks, laundry appliances, water heaters, sump pumps and other plumbing and pipe systems. Because plumbing repair work is done largely behind walls and beneath floors, some plumbing companies can also patch or replace tile, stonework and other surfaces. Although some Rochester plumbers are generalists, others specialize in specific areas; a 24 hour emergency plumber will handle urgent residential repairs, while others may be more skilled in remodeling, natural gas lines, overhead sprinkler systems and more. 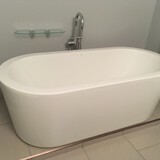 Find a local Rochester plumber on Houzz. 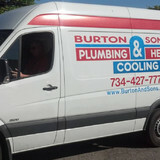 Narrow your search in the Professionals section of the website to plumbing contractors in Rochester, MI. You may also look through photos of Rochester, MI projects to find a licensed plumber who has worked on a project similar to yours. Here are some related professionals and vendors to complement the work of plumbers: General Contractors, Septic Tanks & Systems, Kitchen & Bath Designers, Kitchen & Bath Remodelers.